Share the post "Step2 Big Splash Water Park Review"
We’ve been experiencing the best of the best weather for the past month or so. Therefore, we’ve been taking advantage of this weather by enjoying outdoor activities. 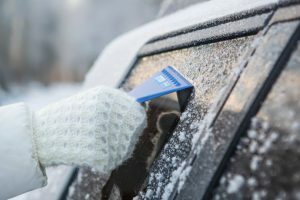 We normally don’t really get to do this until late April, a month when the weather starts picking up a little. This is why I wasn’t sure if my son would be able to enjoy the Step2 Big Splash Water Park ($35 – $45 at various store locations) when I was first notified that we’ll be reviewing it. Assembling the Step2 Big Splash Water Park was a cinch! It honestly didn’t take long to set it up. I let my son have a go at it once everything was completed. He had a blast with pouring the water down the waterslide or spinning the water wheel. It is one of the many things that has been keeping his attention occupied while on Spring Break. That’s what I love about it, because it can provide endless hours of fun while fostering creative imagination. 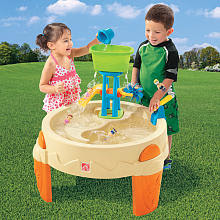 The Step2 Big Splash Water Park comes with a drain plug and an accessory set, which adds additional fun. Draining it is effortlessly easy and doesn’t create a mess in the process. Also, it is very lightweight, yet sustainable. Therefore, carrying in and out doesn’t take much effort! I highly recommend the Step2 Big Splash Water Park if you’re looking for something relatively cheap, yet will provide endless hours of fun! Disclosure: I am a Step2 Test Drive Mom and received this product for review. I was not compensated for this post. My opinion is my own.